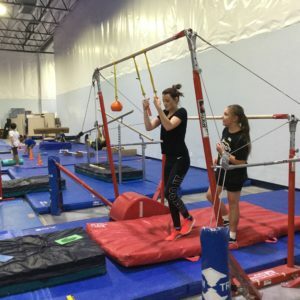 Inspired by the hit television show American Ninja Warrior on NBC, Flip For Me Gymnastics now offers beginner ninja classes. 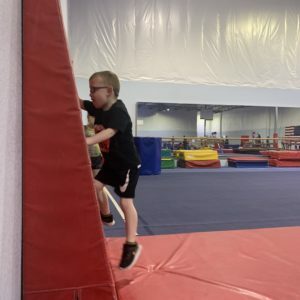 Our classes offer a wide variety of obstacle courses for kids of every age and skill level. Athletes have the opportunity to work on their balance, strength, speed and coordination through a variety of drills and obstacle courses. All participants need to have a signed Trial Class Form or a Registration\Waiver form on file before starting any activity. Ninja's need to be in athletic shorts and a t-shirt. Each student, no matter the age, needs to have CLEAN gym shoes that they will wear inside the gym only. Please do not walk off the street in your shoes. Long hair will need to be pulled back.